﻿ How to rip DVD to iPad 3? How to rip DVD to iPad 3? 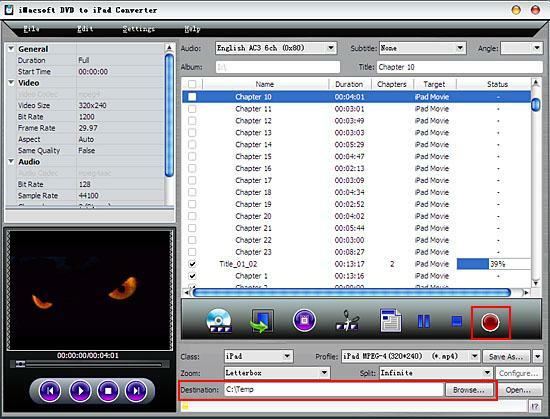 iMacsoft DVD to iPad 3 Converter is your ultimate dvd ripping software for iPad 3 which helps you covnert DVD to iPad 3 compatible video or audio formats. 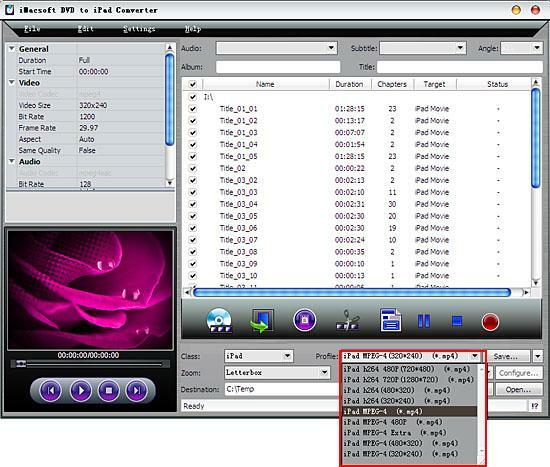 Dual-core and multi-core CPU let this DVD to iPad 3 Converter easily rips DVDs in batches with incomparable fast speed. All-in-one DVD to iPad 3 Converter can directly rip and convert DVD movies to video formats playable on iPad (MP4, H.264, MOV), and even rips DVD into iPad 3 AAC, MP3, and M4A audios formats. Just free download DVD to iPad 3 software for a free trial. 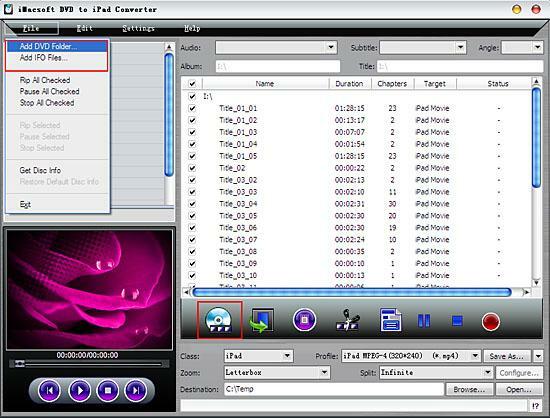 Free download iMacsoft DVD to iPad 3 Converter, install and run it. Insert movie DVD and then load DVD files by clicking "Open DVD" button to load DVD files. Or turn to the top "File" menu and choose the "Add DVD folder"/"Add IFO files" option . 2. Set output iPad 3 compatible formats. Under the "Profile" drop-down list, set the output video format as iPad 3 compatible format and then press "Browse" button to choose a output folder for saving the converted files. After finishing the setting, just click the "Convert" button to rip DVD to iPad 3 videos. After DVD to iPad 3 conversion, press "Open" button to search for the ripped iPad 3 videos fiels on computer local. 1. Connect your iPad to computer with the USB cable. 2. Open iTunes and wait for it to recognize your iPad 3. 3. locate the converted videos and drag them into your iTunes library. 4. Depending on your configuration, auto-sync should begin. 5. 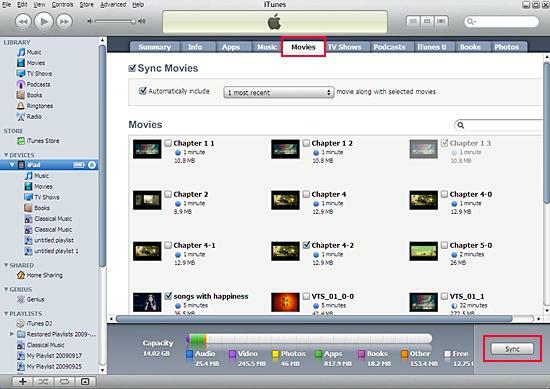 If not, then manually select whatever features you like to sync your iPad 3 with and press the Sync button. © 2009-2013 iMacsoft Software Studio, All rights reserved.